Becoming a parent is a daunting and often overwhelming experience. There’s a lot of information out there – possibly too much information – and today’s parents are faced with a mountain of parenting advice. I clearly remember, as a new mum, when my daughter was about 8 weeks old, despairing that my daughter was not sticking with the routines that the particular book I had read, was suggesting! I felt such a failure. It took a lot of time with my first born, to realise that I must learn to trust my instincts as a mum. My advice to any mum or dad-to-be is try not to be “the perfect parent” (it doesn’t exist), use books and online advice as a guide only (they can’t cover every eventuality and all children are different) and give yourself time to relax into your new role. 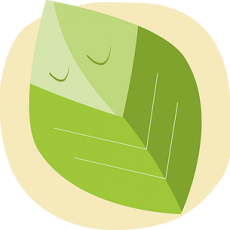 www.thegoodbirthpractice.co.uk – The Good Birth Practice now teaches The Wise Hippo Birthing Programme (otherwise known as ‘hypnobirthing’) here in Sevenoaks. The Wise Hippo Birthing Programme is taught in either a Group course or Private sessions – you’ll learn about how well designed your body is to have your baby, how to stay calm & relaxed as you labour and birth, as well as many practical tools and techniques to help you enjoy the birth of your baby. 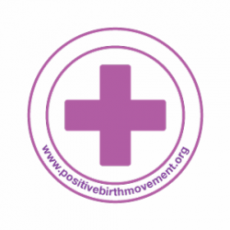 http://www.positivebirthmovement.org/ – spreading positivity about childbirth via a global network of free Positive Birth groups, linked up by social media – check their website for a group that is local to you. The Paperdashery is a local Kent business, selling beautiful stationery and cards BUT it also offers a MamaMail service: the #MamaMail project encourages mums to send some happy mail (a letter, postcard, even a little gift) to a new mum who might be in need of support and encouragement during the postpartum weeks. So you can sign up to receive a paper hug from another mummy who knows just how tough life can be with a little one. Or you can also sign up to send some love to a new mum https://www.thepaperdashery.com/mamamail-aka-postpartum-happymail/ Love that this business is spreading a bit of happiness! Gymbor ee Play & Music offers award-winning, learning through play, developmental classes for children aged 0-5 years and their carers; including the only classes in the UK designed especially for new born babies.Gymboree classes utilise a unique and impressive combination of music, movement, props, imaginary play and custom-designed and patented apparatus, all to create a fun and magical world where children learn, thrive and most importantly have fun. In our Level 1 Sensory Baby Play classes (0-6 months) we introduce parents and carers to the many ways to stimulate very young babies– providing parents with an entire repertoire of songs and age-appropriate activities to take home each week. We use song, movement, infant signing, puppets, fibre optics, bubbles, musical instruments and baby-sized apparatus. In every class we enjoy group activities, as well as exploration of our “Sensory Stations” which include hands-on props to provide endless amusement for the babies – and adults too! Contact us today to book your free trial class! http: //www.tattybumpkin.com/sevenoaks – Tatty Bumpkin is the inspiration behind the bendy, giggly world for clever minds and strong bodies. Her adventures are centered around Wobble Farm and The Giggle Tree, where she takes children on active, creative adventures that inspire and motivate children and adults alike. This unique concept has been developed by physiotherapists, educationalists and yoga teachers. Classes are held in the Sevenoaks and Tonbridge area.